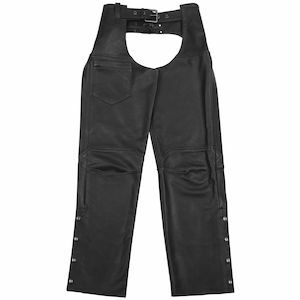 RevZilla carries a wide range of women's leather motorcycle pants which are geared for a woman's shape and unique style. Whether you are a racer, track day rider or a long distance touring rider, RevZilla carries women's leather motorcycle pants which will address your needs. Women's leather motorcycle pants for everyday riding or touring are a looser fit with reinforcement panels in common high-impact areas. Usually sport riding and track pants have a more snug fit and pre-shaping (sewn riding position) as well as stretch panels, knee sliders, ventilation and 360-degree zippers to connect with jackets. 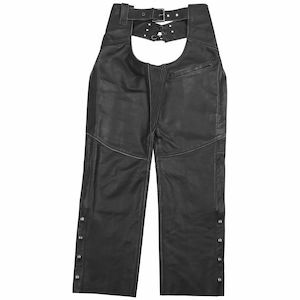 Women's leather motorcycle pants are typically a mainstay of the serious enthusiast and they come in a variety of shapes, sizes and styles to fit a woman's needs. If you need any assistance in choosing women's motorcycle leather pants, do not hesitate to contact RevZilla for a consultation.